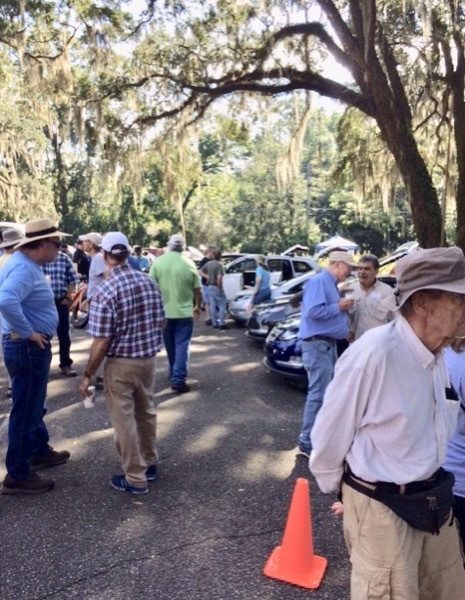 56 Electric vehicles come to the Spanish-moss covered oak groves of Tallahassee. Attendance was over 350 people for the first event of its kind in the Panhandle Big Bend area of Florida. Electric bus, bikes, cars , owners and dealers educated our community on the virtues of plug-in electric vehicles. Unable to identify people in photo. Join us for an EV expo to learn more about the benefits of electric vehicles! Registered attendees report 452,518 electric miles driven.